Are You Known Among the Elite? Home > NewsRelease > Are You Known Among the Elite? 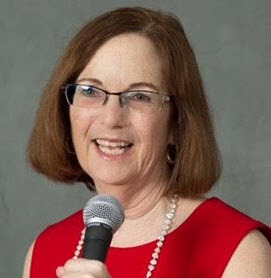 January 30, 2019 Metro Area, D.C. – Elinor Stutz is known for her pioneer spirit and knowledge as a thought leader. Elinor's mission is to inspire, teach and motivate you to embrace your most significant vision and transform innate talent into the leader you are destined to become. Her message is "Believe, Become, Empower." Her incredulous journey from overcoming a broken neck lead her to inspire and empower people worldwide. Standing ovations always follow her powerful presentations. 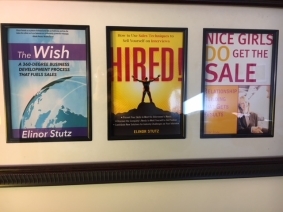 Expanding on her message, Stutz will be pushing her envelope further than ever before. In her youth, Elinor was drawn to reading the classic books. 'The Source' lead her to international travel and archaeological digs. Her dream of long ago was to become a paid travel writer. Decades later she will be incorporating travel blogging into her business plan. Her ultimate goal is to encourage younger generations to never give up on their dreams. During Stutz's search for fellow collaborators, she was immediately drawn to Joanne Weiland and her work via LinktoExpert.com. Similarly, a former star saleswoman, Weiland saw the need to motivate and promote others to see their fondest dreams come true. As the collaborative effort unfolded, the For Experts Only Magazine was born. LinktoEXPERT is a collaborative cloud community designed to encourage innovation for you to implement your ideas fast. If you add additional expertise you can focus on what you do best. However, many professionals are not aware of the types of expertise available to them to implement their ideas. Founder, Joanne Weiland exclaims, "We are compiling a resource for you to quickly determine the expert(s) that can make your life easier and stop keeping you up at night." Joanne summarized this resource as a Dynamic Digital Magazine. With enthusiasm and in partnership, Elinor has featured ForExpertsOnlyMagazine - http://bit.ly/ - in a Smooth Sale blog, and she will be featured in the upcoming edition of For Executives Only Digital Magazine. For Executives Only Digital Magazine will be found globally in resource libraries, inboxes, newsletters, tweets, LinkedIn notifications, Facebook posts, blog sites, RSS feeds, magazines, radio, podcast, internet, TV shows, and business wires. Take a minute to watch, then decide if you want your expertise known worldwide without leaving your office visit http://bit.ly and Become KnownAmongTheElite. About LinktoEXPERT - Since 2007 LinktoEXPERT makes it easy for EXPERTpreneurs to be seen consistently online, on stage, on social media and be heard frequently on radio and podcast interviews which results in being known as the trusted expert worldwide. Executives and business owners get to know the problems EXPERTpreneurs can solve for them and understand the outcome of working together before they hire each other. The collaborative cloud community streamlines the hiring process: easily review expert's education, experience, and achievements in minutes. Results: everyone can focus on what they do best while simultaneously delegating projects to other service providers. Together we save time and energy, make more money (often additional streams of income) and elevate our reputations which results in securing new projects.